hav'nt been around for a while but could really use some help. On Sunday my machine suddenly died in it's sleep. it didn't give any warning symtoms just failed to restart after tea. it appears to be electricly comatose but i can confirm with basic testing that there is power in up to the emergency stop switch the internal fuse is ok and the motor does run when connected to my 18v drill battery. i also put a multimeter over the transformer and while i got a reading between the two outer terminals on the secondary coil. i get an out of range reading for the centre one. does this mean the transformer is kaput. is there also anything else simple i should be checking. i also tried to get some other views of the top. 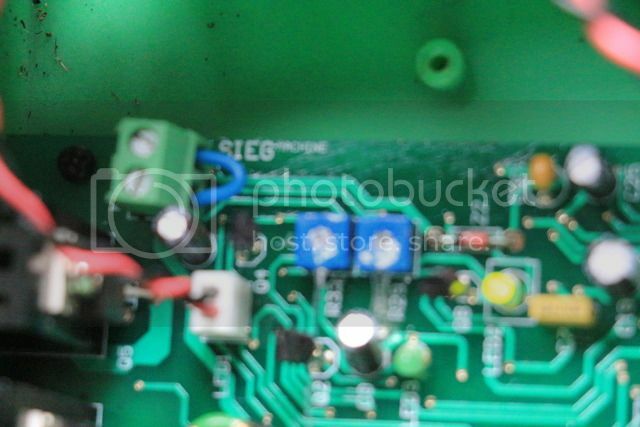 What is the chip at the end of the board next to the 2 pin socket? 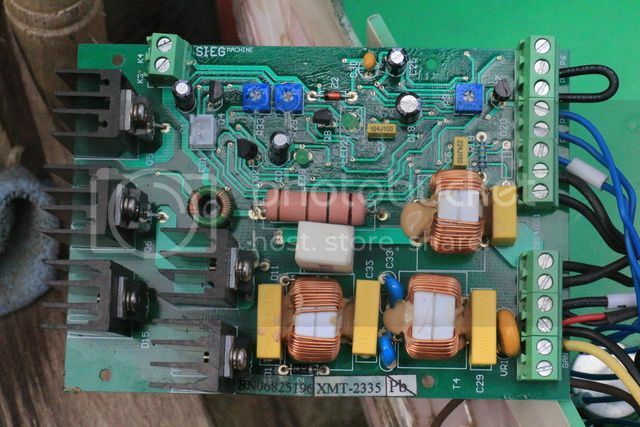 I'm guess its a 7805 regulator..
With power applied, is there any voltage at the two pin socket? 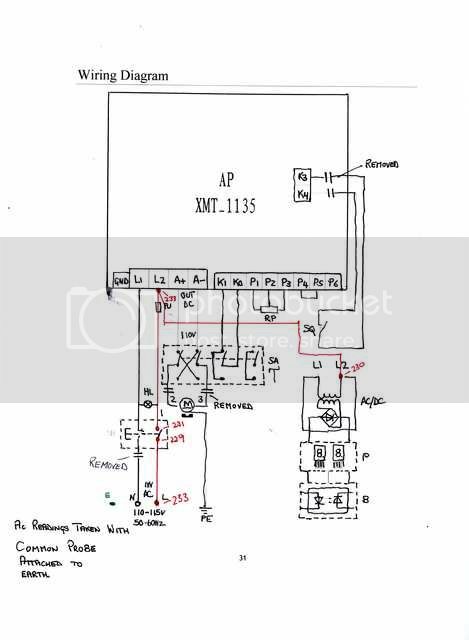 Ok, looking at the front of the regulator ( where the numbers are...) the connections are; 1,2 &3 left to right.....connect your meter Black lead to the tab, now connect the Red lead to pin1.... What reading do you get? Set the meter to the 20 range DC volts....then transfer the Red lead to pin3, what reading is on the meter? Is it not strange that you are getting 0 ohms across the secondary coil in the first pic? Is that not indicative of a dead short ? i will go and do as you suggest first thing tommorow the wife wont let me go out and play anymore tonight. please no apologies simplistic is good, in my former life i was a mushroom farmer so my toolkit was more stilson wrench and large hammer. my limited electrical knowledge came from our local electrician who taught me just enough to change a 3 phase motor or to check i was getting power. i still take a deep breath and count to ten before going anywhere near live power. A transformer winding will usually show very low resistance to DC. Remember that it is an inductor, and that it's impedance at supply frequency limits it's current, not it's resistance at DC. Same with motor windings. You may be over thinking this! You say you have power to the stop switch, is there power coming out the other side of the stop switch? Did you use this stop switch to stop the machine? If so, check it is not stuck in the off position. Some of them lock off, and have to be reset to work again. Very unusual for something to fail with no power on, and also fail to even give a twitch when turned back on. yes i do have power out of the stop switch my metholody so far has been to follow the power from the mains, into and out of the emergency stop switch down to the control board and into the transformer then at the transformer output is where i began to suspect i may have found a problem, but as said above i'm at level 0 when talking elecrtricals all i'm really capable of is following instructions and reporting back. that is not the number on my control board but the layout is the same in preview the picture looks too small to read apologies for that but i dont know how to make it larger. john i have also taken the readings you suggested which from the left pin 008.9 centre pin 0 right pin 000.1 regarding the range button pressing it moved the decimal place to the right. 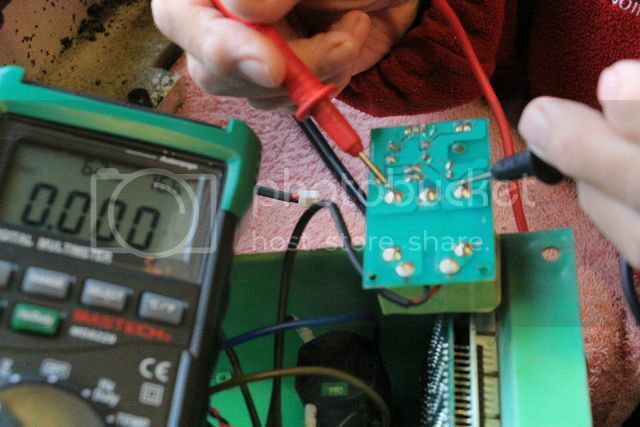 So, do you have 5volts dc measured at the connector on the little power supply? 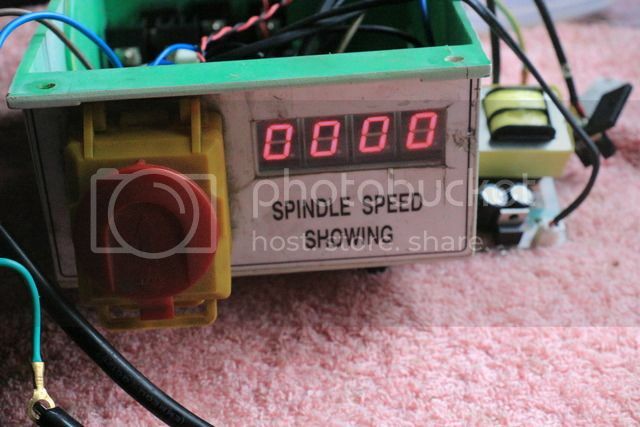 Can you post up a photo of your speed control board please? did take a picture of the control board though which is below. So, are you now thinking that the broken fuse holder is the reason why your machine isnt operational? i' can only wish but as i had a good reading at both ends yesterday morning when i started taking it apart i suspect i have managed to break it somehow and the broken fuseholder is just an aditional problem. however when i get a new fuseholder in place it might be prudent to start investigating from the beggining again. thanks for that John. it proved very useful as it reminded me that one thing i had'nt checked so far was the microswitch on the chuck guard i dont know whether it is NO or NC but in any case a continuity test showed out of range for both ways so i know that is duff and am more hopeful that it was the root cause of my problem. when my fuseholder comes hopefully tommorow i will put a link across k3 and k4 and pray for success. Do you think that could have been the problem. On recconeting to the mains and releasing the emergency stop i now have power through the system and a small turn on the speed control brought the motor into life. just like to say thank you to all who made suggestions and especially John for his guidance. the upside is now i dont have to spend on new electrics other than a microswitch i can lavish some cash on giving the machine a complete overhaul starting with the headstock and possible bearing change. followed by getting rid of the horrible digital readouts. And does the beast now turn ? 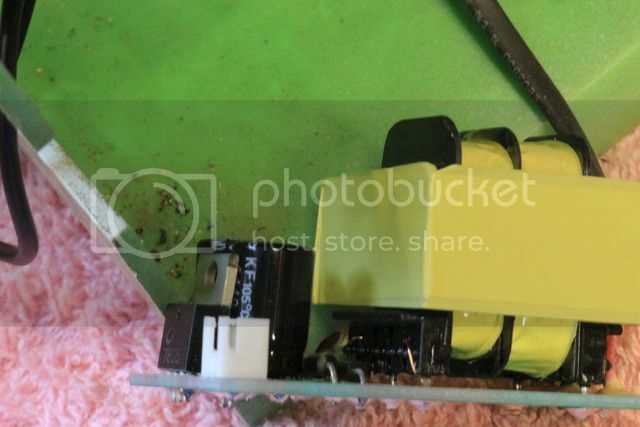 Just make sure you fit the new fuseholder.....and... Fwiw, despite what fuse is fitted, change it to a 3 amp fuse.....These machines tend to be shipped with fuses with a rating higher than necessary. 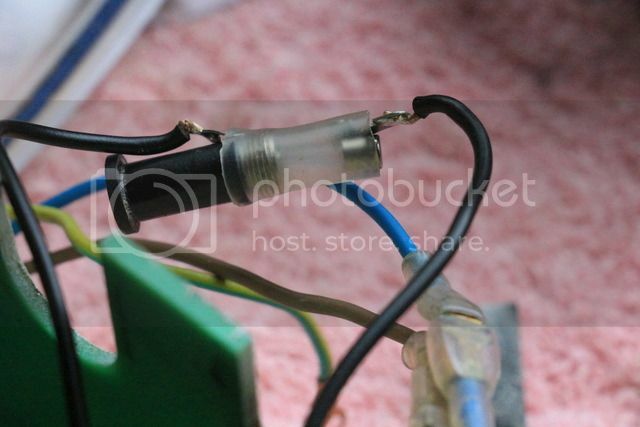 i know for definate that the fuse in the plug is a 5 amp so i'll do that straight away. So, what is the justification for a smaller fuse? Simply put, watts is volt x amps. Looks like 3,15A fuse blows about 10A in 0,1 sec, would that card withstand 30A for 0,01s? 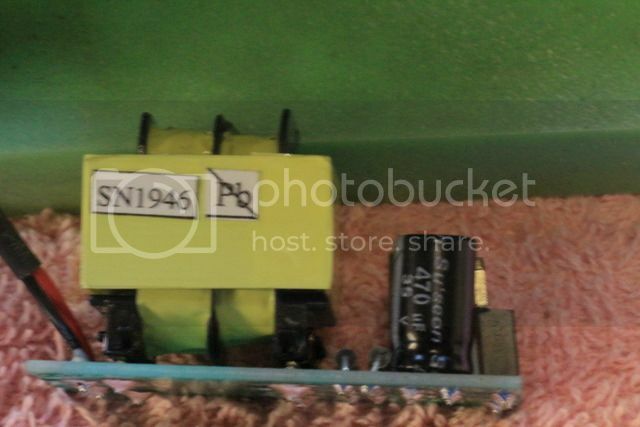 Generally those fuses are fine when they are chosen to blow out on wire short circuit and prevent wires. To dimension these glass tube fuses to protect electronic circuit on small over current or surge load is not easy. Another issue is selectivity. The mill fuse should blow before plug fuse and plug fuse should blow before mains fuse. Two fuses near same melting current is a bad idea. I was merely suggesting that to prolong the life of the machine, the the op change the fuses to a value lower than those originally fitted. It is cheaper to replace a blown fuse in the event of a fault than have to buy a new motor or pcb. At the end of the day, its no skin off my nose if the op does nothing..however, if I carry out repairs to a machine, I ensure that the equipment fuses are adequate and fit for purpose in order tomoffer any guarantee of repair. My intention was not to criticize your choice of fuse on this particular instant. Merely to point out some points to greater public that there is some logic on fuse selection. 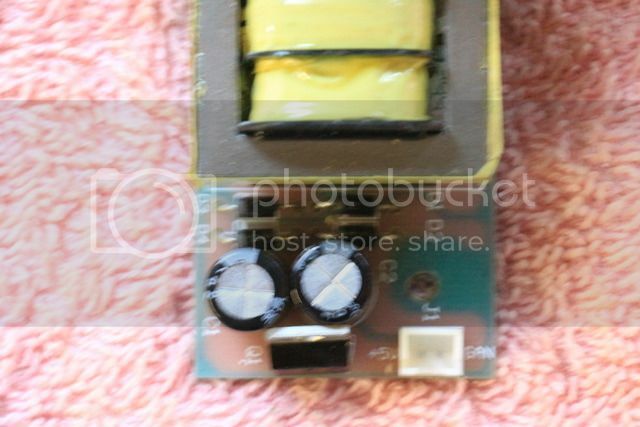 I have noticed the same thing about fuse size, maybe they rather sell new card/motor than listen rap about burnt fuses. Also the mill might not reach rated power with smaller fuse, but there is risk of burning something under other circumstances. That happened to me on my Craftex mill the doughnut wire wrapped thing (choke?) unsoldered itself and dropped onto wires below! They gave me a different board but the tack has not worked since. I've only just caught up on this thread. My Sieg C3 had a very similar problem. A short time after getting the lathe about 11 or 12 years ago the plastic chuck guard was removed, it got in the way all the time. The switch and metal guard mounting rod were left in place. Sometimes the rod needed a bit of a tweak to ensure that the switch was open and the motor would run. The chuck guard microswitch was a bit hair trigger, so it was removed and a small wire link applied to the PCB. End of problem!! 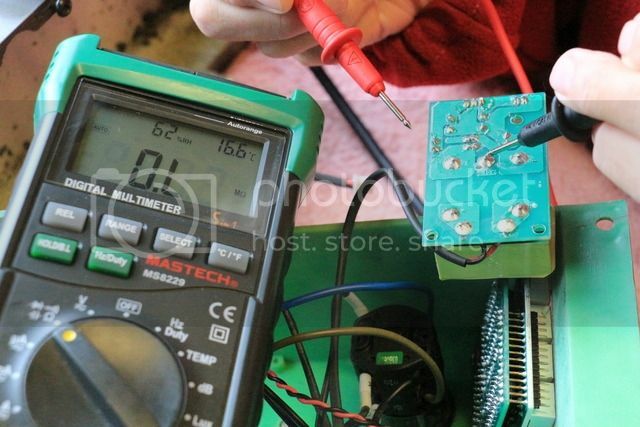 For a circuit that always draws the same current, you fix this with an NTC thermistor. This device has a high resistance when cold and this resistance drops as it heats up. What happens is that the high resistance limits the inrush current at startup to sane values (maybe only 4 -5 times operating current) and then heats up. For a circuit that draws a variable amount of current (eg a motor speed control on a lathe) it's somewhere between VERY hard and impossible to pick an NTC thermistor with the correct characteristics. The cheap way is to pick the smallest fuse that has an INRUSH rating up to the task and just live with whatever its maximum continuous rating is.